My name is Nicky and I am a baby gear addict, there I said it, it’s out there, I have a problem. The plus side of being heavily sucked into the world of baby paraphernalia is that I can tell you what I think of a few products I’ve tried. I’ll start with one of the pushchairs that I’ve tried, the Stokke Scoot v1. The Scoot is fairly easy to manoeuvre and I could manage a one handed push most of the time if I needed to. The compact size of this pushchair makes it perfect for fitting through those little gaps in coffee shops and parking up easily on the bus. I did find going up and down kerbs a bit challenging at times, the centre of gravity means that you have to give it a bit of welly to get up the kerb but once you are used to this it’s not a huge issue. The seat unit detaches very easily by just squeezing two buttons, quick and simple. 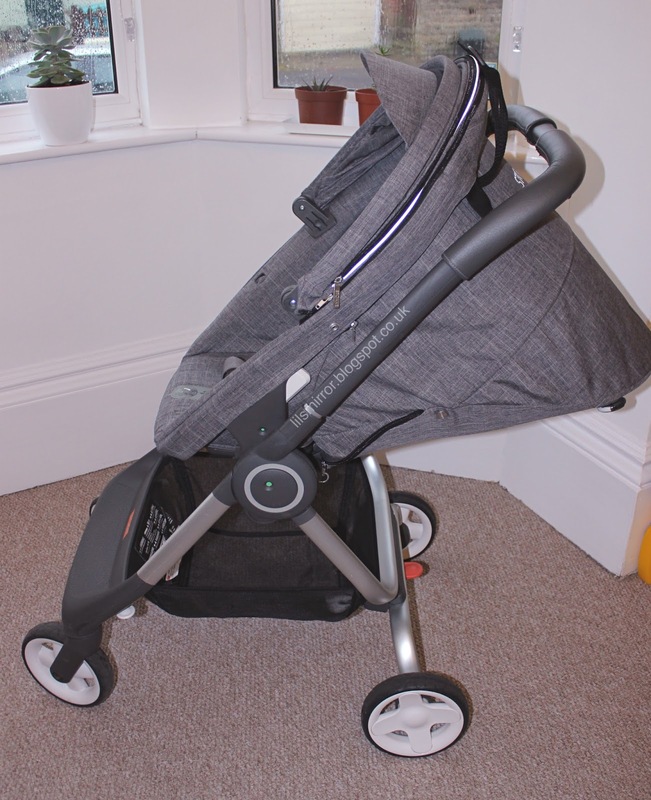 The fact that this pushchair is able to fold as a one piece is a real bonus as most pushchairs of this type require the chassis and seat unit to be separated before folding down. It’s very easy to collapse and does fold into a neat little package which stands up so can be stored in a relatively small space. The shopping basket is a very good size for a smaller pushchair and I never needed to hang anything from the pushchair handle when out shopping. I used the Stokke changing bag with this pushchair and it helpfully has clips on the underside of the seat unit so it can be suspended from the seat giving you that little bit of extra space in the shopping basket without having to hang the bag from the pushchair handle. The hood on the Scoot is great, it’s huge and is great for shielding baby from bright sunshine. It doesn’t make a sound when pulling out and folding back so no unnecessary wake ups! The recline position on this pushchair is very different to any I’ve seen before. I have to say that this is one of the features I was less impressed with. There is only one recline position which is flat and is secured with clips on the back of the seat unit rather than the standard squeeze and release handle style recline. I found this a bit fiddly to deal with and not the smoothest transition to achieve with a sleeping baby in the seat and pretty much impossible to do one handed. 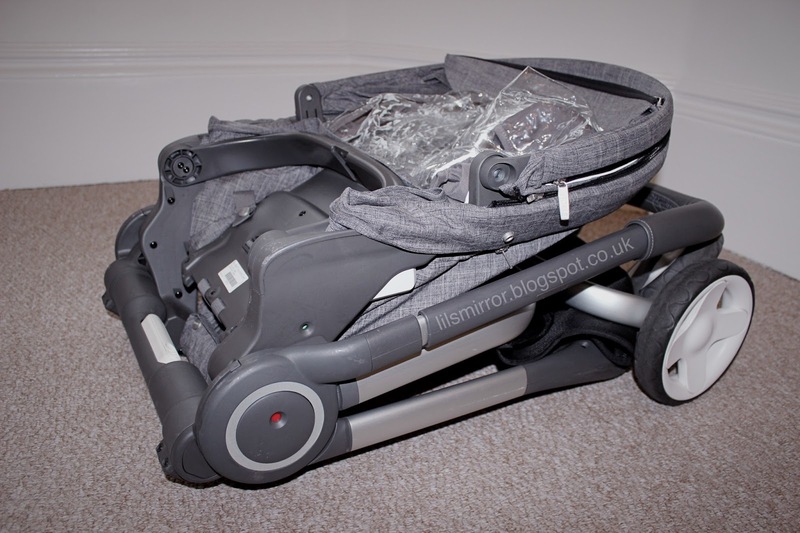 It is difficult for me to comment on this as I only tried this pushchair out for a couple of months but it appears to be very solid and sturdy and has stood up to my appalling pushchair driving and lack of spatial awareness! I love the look of this pushchair, many of the other compact pushchairs I have seen are very brightly coloured or plastered in logos which I’m just not keen on. I’m all about a textile that looks good but that will hide the dirt well! 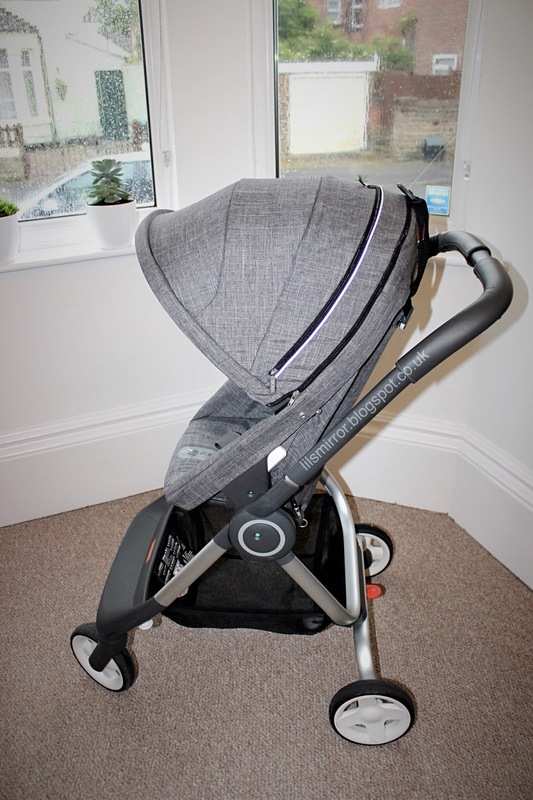 I had the black melange textiles on this pushchair and it’s a great colour for looking clean and tidy without needing to wipe down every 5 minutes. Whilst I love how the pushchair looks in its upright position I do think that it looks a little odd in its recline position, particularly with the hood fully extended but my little one seemed to be comfortable enough in there so not a huge issue. The scoot v1 currently retails brand new for £429-£499 dependent on colour (I bought pre loved). In my opinion if you were buying this as a pushchair to last from newborn right through until little one is walking then the price is fairly reasonable as this is a higher end product. Overall I think this is a good pushchair, unfortunately the fiddly recline function lets it down a little. Having said that I think that for those that are looking for a good quality compact pushchair this is definitely worth a look. Are you a complete baby gear addict like me? !